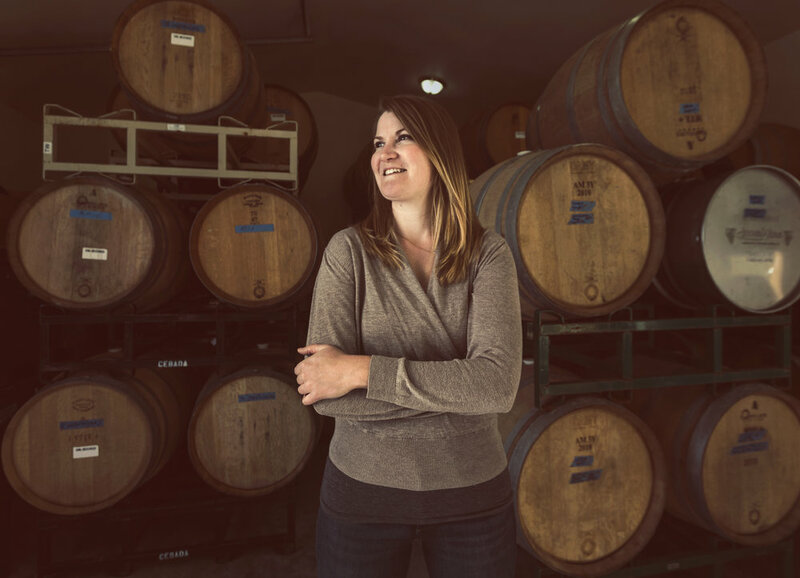 Founded by Laura Roach, Loubud Wines stems from her appreciation and love for producing handcrafted, quality wines. Her winemaking career began at The University of California, Davis where she focused on viticulture and enology studies and worked her first harvest in 2008 at Schramsberg Vineyards. Upon gaining her Bachelors of Science in V&E at Davis, she was awarded the Confrérie des Chevaliers du Tastevin Scholarship to work abroad in Burgundy, France in 2010. From this internship, as well as in Napa Valley, CA and Paarl and Stellenbosch South Africa, Laura had the opportunity to work alongside many gifted winemakers and perfect her own winemaking skills. Working closely with Pinot Noir in different regions, Laura was drawn to this variety, and eventually to Santa Barbara County. As the Enologist and Assistant Winemaker at Sanford Winery, an esteemed winery & vineyard in Sta. Rita Hills, for six years she has assisted in the production of high-end Pinots noirs, Chardonnays, Rosés and Sparkling wines. As a key player in developing this sparkling program in 2013, Laura’s passion for producing her own sparkling wines grew. With this passion came her love for the surrounding area. As any realtor will recommend to a new home buyer, “location, location, location”; Loubud found its location. The cool marine climate and long growing season of Santa Barbara County support the development of fruit forward wines with bright, vivacious acidity. These characteristics allow for quality Pinots, but even more so for beautiful sparkling wines and rosés of this delicate variety.